From one of this country's most important intellectuals comes a brilliant analysis of the blues tradition that examines the careers of three crucial black women blues singers through a feminist lens. 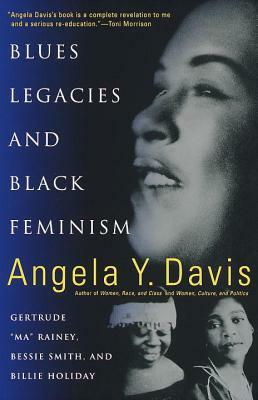 Angela Davis provides the historical, social, and political contexts with which to reinterpret the performances and lyrics of Gertrude "Ma" Rainey, Bessie Smith, and Billie Holiday as powerful articulations of an alternative consciousness profoundly at odds with mainstream American culture. The works of Rainey, Smith, and Holiday have been largely misunderstood by critics. Overlooked, Davis shows, has been the way their candor and bravado laid the groundwork for an aesthetic that allowed for the celebration of social, moral, and sexual values outside the constraints imposed by middle-class respectability. Through meticulous transcriptions of all the extant lyrics of Rainey and Smith—published here in their entirety for the first time—Davis demonstrates how the roots of the blues extend beyond a musical tradition to serve as a conciousness-raising vehicle for American social memory. A stunning, indispensable contribution to American history, as boldly insightful as the women Davis praises, Blues Legacies and Black Feminism is a triumph.